She would use her influence as messenger, confidant and liasion to push for more liberal reform in Bavaria. She would even be named a Countess before being forced to flee to America during civil revolution in 1848. 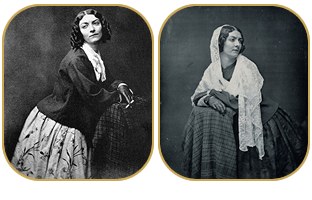 She performed throughout the United States and made investments in a few key goldmines in California before leaving to Australia in 1855 to try her luck in their gold rush, as well as return to the stage. Upon her return to America in 1856, her manager was lost overboard, an event that would ultimately mark the beginning of the end. The rapid deterioration to her mental and physical health due to siphylis led to her early death in 1861 at age 39. Despite her health issues, she spent her last days in rescue work among women, happily reminiscing on a life without regret. Lola is said to have spent several years in California, as well as working as a stage dancer at our Historic Cary House Hotel. She is known for her exotic "Spider Dance," which was no doubt of great popularity to Placerville miners. Her list of romantic liasons includes such names as Bavaria's King Ludwig I, composer Franz Lizt, and Alexander Dumas, author of The Three Musketeers and The Count of Monte Cristo. 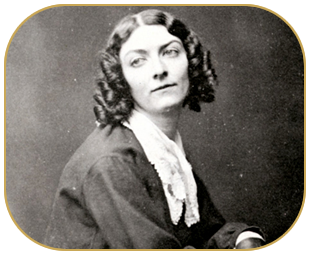 Lola Montez has two lakes (an upper and lower) named after her in the Tahoe National Forest in Nevada County, California.